How a mere 10000 compounded to more than 500 Crore? Who are the shareholders of a business in the Stock Market? Share Bazaar of Monkeys and Goats !!! Edible Cutlery - Tasty & Eco Friendly Innovation !!! How are you all doing? I hope you are all learning by reading the content here. I also sincerely hope that you are passing this on to your loved ones. Now, in this article, I bring out 5 Important Questions you need to truely and consciously ask yourself before buying a business or a stock. If you do not have the answers, start finding them out NOW :-) Digest each question thoroughly. Do I understand this business well enough to make a good decision on buying the shares? If yes, what do I know about the business? This is the raw basic question you need to have the answer for. If you are an expert in one field, stick to it. If you are not an expert in anything, try to look at companies which sell products which you use everyday. When you go to a shopping mall, or watch an advertisement, or eat something yummy, keep your ears and eyes open and see which company is giving you that product. If it is listed, study it. Who are the promoters and their experience in this business? Are they transparent and investor friendly? Let me tell you from my experience, that the management is everything in a business. We have seen so many companies rise from the ashes due to a great management. Please remember that even the best companies have gone through hard times. But, if the management is sincere and determined, they will overcome these hiccups. Now, how to do you know if a promoter is good or bad? How do you know their intentions? First, find out who the promoters are. Try to google them and read everything you can about them. Go to Linkedin and see their profiles. See if they or the company has ever been in the news for unethical or bad reasons. Also try to see if they have given dividends which shows their investor friendliness. What is the future for this business? Friends, please remember that the past is just a guidance but the future is everything. If a company was awesome but the future looks bleak, you are most definitely entering at the worst time possible. 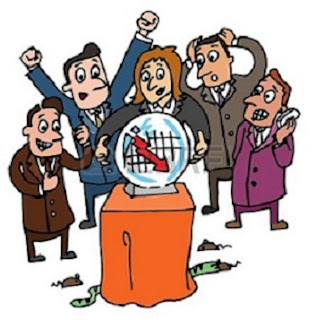 So when you are picking the business, try to figure out the future of the business. Every company will have to innovate in order to sustain. Closely observe if the business has a future requirement in the market? Is it saturated? Even old solid companies keep doing new things to keep in pace with the world. This is a very important question to be answered. How has the business fared in bad market times compared to its competitors? There are times when a particular sector is going through tailwinds or multiple problems. Sometimes, currency issues, slowdown, low demand, bad margins etc can be challenging for any business. How has the company fared when its industry is going through a hard time? Today, there are many companies which are still performing well in spite of their sector immersed in problems. Maybe their margins have reduced. But if their integrity is not compromised, they are doing a great job. This is extremely key in valuation. How much does the business performance depend on changes in micro and macro economic conditions? The world is never perfect. Sometimes, there are situations which are out of our hand. 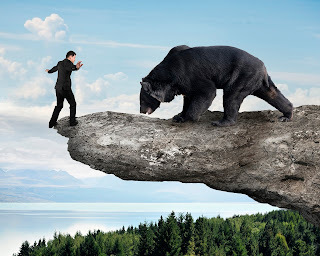 Geopolitical problems in Europe, Greece finance issues, Unemployment in US, Currency devaluation in China, Slow growth rate, Real Estate Problems, Diseases, Dumping etc have hit the world markets in the last few months. In these times, unfortunately, even the quality companies get punished for no reason of theirs. But their bounce back will be equally quick. Try to keenly observe these movements in the past tough times. Strong companies have a beautiful upward chart if you see the last 10 years. Now, you need not stop with these 5 questions. But these are the basic ones which you should definitely have the answers for. Start searching for every possible detail about the company which you can gather. Do not look at the stock with a clean eye. Try to scrutinize it from every angle. I am sure that if you start hunting for information, you will definitely be able to get a lot of inputs. Try to send emails to the company (see the email ids in their website) or call them and bug them. They will respond if you have genuine questions. You just need to be a shareholder to get in touch with a company. I believe this is the best time to start your research if you have not done it yet. Most of the high quality stocks are beaten by more than 50% from their high. Do not miss this opportunity. I would also love to help you out in case you want me to review your thoughts. Click here to get my details in About FI page. Please share this post on multiple public platforms so that many more can get benefited and master the art of Investing in the Stock Market !!! 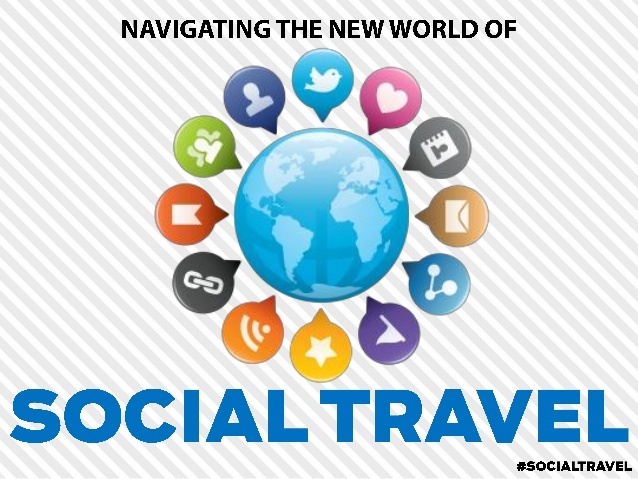 Social Travel - Maybe the next big investment opportunity !!! Times have changed my friends.. Today, we spend more time in getting more Likes, Tweets, Shares and Pictures rather than living the experience. 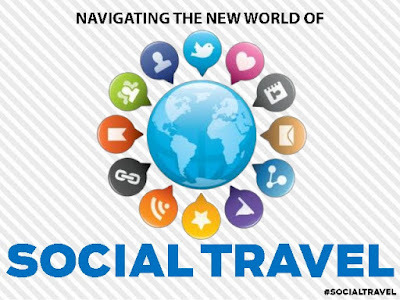 We most of the time virtually connect rather than meet up and interact. What are we moving towards? Watch and enjoy :-) This video is also a wake up call for all of us. Lets enjoy the real thing friends.. This world is a beautiful place and experiencing it completely is bliss !!! Hope you are having a relaxed weekend. This week, let us try to understand a key element in the process of trading or investing in the Stock Market. This is extremely important since you need to know how you are actually able to buy or sell shares which are listed in the exchanges. We have heard of different kinds of brokers - Marriage broker, Real estate broker, Online broker, Insurance broker etc. 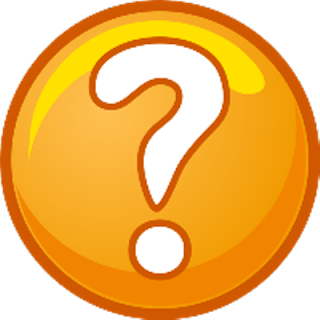 Typically if we want to buy or sell a house or property, what do we do? Instead of trying to find potential buyers or sellers, we ask a broker to help us out. What are the primary advantages of this? 5) Broker would take a commission for helping us out, but it saves us the effort of actually trying to market our property or go house to house on our own to buy one. So in simple terms, a Broker is basically a middleman, who is an expert in a particular field of service and links the customer and service provider for a commission. Now, who is a Stock Broker? Wikipedia defines as follows. 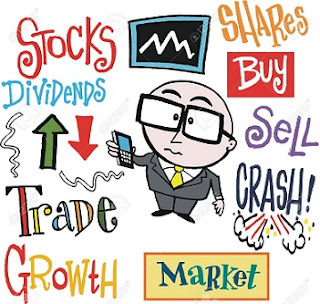 A stockbroker is a regulated professional individual, usually associated with a brokerage firm or broker-dealer, who buys and sells stocks and other securities for both retail and institutional clients, through a stock exchange or over the counter, in return for a fee or commission. Please note that in India, the Stock Broker or Brokerage Firm needs to be registered with the Securities and Exchange Board of India (SEBI) which is the regulatory body for the fair activity of the Stock Market. So, if we want to be a trade or invest in the Stock Market, what is the first step? We need to identify a good Stock Broker. The first thing a Stock Broker would do, is to get a Demat account created for us. Decades ago, the shares were all in Materialized form. Imagine holding a big file full of Stock Certificates for every stock you own. Those were the days when it was a long process to even check the market prices of a business. It was an arduous task to buy or sell a stock since information was very slowly reaching the retail investors. Also, transparency was not very high in those times. Those days are over now, thanks to the revolution of the internet. Today, we can all hold shares of companies in a Dematerialized account, where everything is electronic. Once the Demat account is created, the account holder can now invest in the Stock Market by buying quality shares. 6) Most important advantage is that an investor can check the balance and make trades from anywhere in the world if he/she is connected to the internet. 1) I like brokers who are open about their costs. Many of them come up with lots of offers etc. and they swindle you with some hidden costs later on. It is good to get to know what is the Account Opening Fee and Maintenance Fee moving forward. Remember to Read the Offer Document Carefully Before Opening an Account with the Broker. 2) A Transaction Fee or Brokerage is the commission the Broker takes for every transaction you make through them in the market. So its good to compare the Fees with various brokers before making a decision. 5) Profit and loss statements (Long term and short term capital gains/losses) are very very important for paying tax every year. I have seen only a few brokers who focus on calculating this accurately for the investors. Especially, when we have bought a share during one Financial Year and sell it within one year in the next Financial Year, it becomes extremely tricky to calculate on our own. Here, good brokers stand out since they do the calculations for you and help out. 6) Finally, it is important that the broker has a good reputation in the market. A seasoned Brokerage House is much more advised compared to a new one. This is because, there have been instances in the past where Brokerage Houses which are functional suddenly disappear. Today, the chances are less since SEBI ensures that these kind of things do not happen. Everything is more secure and transparent. Please remember that a Brokerage which is extremely cheap might not be the Best. Do your homework well. If you already are registered with a broker, it is worth to see if it covers all the points mentioned above. If not, see if you can move to a more user friendly broker. Wish you all the very best my friends. Enjoy your Sunday. Is it the Right time to invest in the Stock Market? How are you all doing? In my interaction with various kinds of investors, one of the most common questions I have come across is, "When is the right time to invest in the Stock Market??" Whether the stock market is bullish or bearish, this question always stays in our minds. When the markets rally, we ask this question since we fear the fall of the market. And, when the markets fall, we ask this question since we fear further fall. We are confused at all times. So, what is the realistic approach? What is possible? What can be practically achieved? Firstly, I want you to understand what Investing is. Investing is a lucrative process which needs to be habitually cultivated from the time you begin earning your first income. Please remember that you are investing for yourself and your future. You need to sideline a realistic part of your income every month and save it for your future goals and needs. Invest with a purpose. That's important !!! From historical data, wise equity investments in solid companies have proven to be major wealth creators in the long term. Yes, not 1 or 2 years of consistent investing, but people who have habitually invested for 5 to 10 years in sound businesses have created crazy amount of wealth. When I say Crazy, I mean it. They have created wealth which can take care of generations and I am not kidding. They are the ones who did not get affected by the small turbulences of the markets, but instead focussed on the business and its prospects. They did not make their decisions based on TV Headlines, Experts, Brokerage Houses, Emotions etc. In the last month, the markets have fallen globally. We have had geo political crisis in Europe, Slow growth rate in China, Employment problems in multiple parts of the world, Economy slowdown etc. I am still proud to say that India has managed to progress pretty well with these turbulences. With the able leadership at the Centre, things are slowly moving towards the best. Yes, you heard it right. Every moment in the Stock Market is an opportunity if you are long. But, you need to do your homework and pick good companies. Believe me, there are tons of them out there. The opportunities get better when markets fall, due to fear, and market prices of good companies also fall without a reason. Friends.. What's the bottom line. BE FEARLESS !!! DO NOT TIME THE MARKETS !!! Pick your companies well and I assure you that you will be rewarded in the long term... Don't bother if you bought a solid company and the market price is falling without a fundamental reason. Many times, our pockets are not deep enough to keep buying when a stock falls without reason. You are not alone. If a stock falls without change in fundamentals, it is bound to come back. Keep a strong mind..
Start investing for yourself, my friends.. It's the best gift you can give yourself. Stay long.. Stay blessed !!! I am hoping that most of you are trading/investing ONLINE with a broker. Now when you are buying or selling shares online, you will see an order book which provides you a good idea of the top 5 selling and buying prices. You can find order books of your stocks in both NSE and BSE sites. Lets take an example of an order book here. From the above example, we see that there are 4 columns. The buy quantity is the number of shares waiting to be bought. Buy price is the price which a buyer is willing to pay for the share. Sell price is the price which a seller is quoting for the share. The sell quantity is the number of shares waiting to be sold. So we have 500 shares waiting to be bought at a rate of 5250. And we have 1650 shares waiting to be sold at 5252. Now a trade is executed when the buying and selling price match. For example. if a buyer plans to buy 1700 shares at market price, he will get 1650 shares at 5252 and 50 shares at 5252.10 and we can see that the last traded price goes to 5252.10. Similarly, if a seller plans to sell 700 shares at market price, he will sell 500 shares at 5252 and the remaining 200 shares at 5249.20 and the last traded price will be shown as 5249.20. 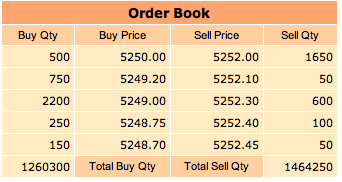 We can see that the order book is made by the highest 5 buying prices and the lowest 5 selling prices. In the bottom, we see the Total buy quantity and the Total sell quantity. Now, we only see a part of the actual order book. The orderbook definitely contains more than top 5 orders. For example, in the current scenario, we cannot see how many buyers are waiting to buy at prices below 5248.70 and we also do not know how many sellers are waiting to sell at prices above 5252.45. Due to the above reason, it would be foolish to make our buy or sell decision purely by looking at the total number of buyers or sellers. I see many a time, that many traders buy a stock when the total number of buyers are higher than total number of sellers. They try to sell when the total number of sellers outnumber the total number of buyers. It would be interesting to note that a operator/punter can easily manipulate the total number of buyers/sellers by placing a huge order at a very low buy price or a very high sell price (since he is sure that his order will not get executed). So the bottom line is, please do not make trading decisions based on order book. Try to trade based on a news or a trend. Be intelligent. The most intelligent thing to do would be to invest rather than trade. In that case, small price fluctuations would not matter. Only the business matters. A New Beginning :-) Happy Makara Sankranti !!! Sankranti means movement of the Sun from one Rashi (Zodiac) to the other. Of course, we have 12 Sankrantis during the year, but Makara (Capricorn) Sankranti signifies the movement of the sun from Dhanu Rashi (Sagittarius) into Makara Rashi (Capricorn). Today is a very special day which is celebrated all over India. A day which signifies the end of the cold winter days and the beginning of the warm spring. This is the period when nature is at its best, the trees and plants are adorned with healthy new leaves and the crops are gloriously ready for harvest. This is the time when the climate is neither too hot nor too cold making it perfect for all of us !!! Since India is primarily an agricultural country, a lot of festivals are celebrated with an attitude of gratitude to the Almighty for giving bountiful crops to feed everyone. Makara Sankranti is a harvest festival where everyone joyously shares their yield with their near and dear ones. This is a day when everyone and everything which enabled the harvest are thanked - the Animals, the Sun, Mother Earth, the Tools & Equipments and most importantly, Mother Nature for providing the best climatic conditions for the crops. Today is a day when we harvest the previous year's crop and begin the new one with enormous hope and humility. Bloodbath in the Markets !!! Should we worry? I have been receiving hundreds of emails in the last couple of weeks with a common concern regarding stocks moving down more than 50 - 60% in market value from their glorious high. The essence of almost every question is "Should we worry? What do we do now? :-("
As far as I understand, 2016 is going to be a year of Great quality Stocks. The Indian Government is taking very good steps in various sectors to ensure that our Indian Economy moves in the right direction. A lot of high quality companies are currently quoting at very attractive valuations and the overall bearish mood in the markets provide awesome opportunities for long term. We just need to identify such businesses and then invest in them with a longer horizon and vision. When the overall market crashes, we need to use this opportunity to load ourselves with great companies. Now, without knowing how to value companies, it is impossible to grab such opportunities. So focus on learning and then start investing :-) It is high time that we understand what the market is all about. Once we know what we are doing, these questions based on Worry & Panic will never creep into our mind.. I strongly believe that there will always be opportunities in the market. Do not ever think that if you spend time on learning, you will lose opportunities on the way. 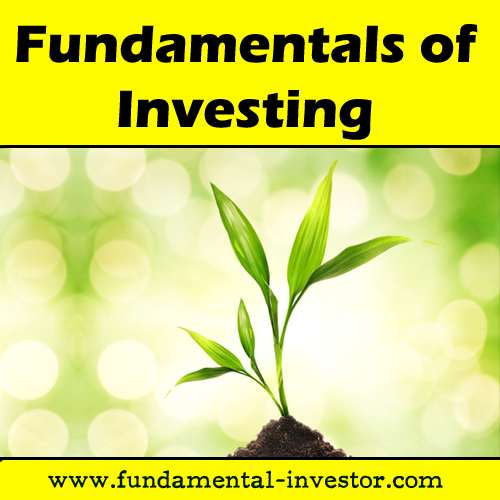 With the right knowledge, you will be able to have a fruitful year ahead in the stock market. This site is dedicated for learners and that's what we will do, slowly and nicely. Hope you had a relaxed weekend. The stock market is a very interesting place. It's a place where you can Make or Break. We have been seeing a number of businesses in the market. Also, a lot of IPOs in store.. It's Monday morning and thought Ill share something very interesting with you. A nice video which gives you a good feel of what happens when we speculate and enter the market without homework. This should motivate you to learn and invest. Knowledge is everything !!! Most of the people do not invest but only trade.. Watch this video and have some fun. Fundamentals of Investing in the Stock Market !!! Hope all of you went through the videos of Warren Buffet and got a feel of how he values and chooses his businesses (Click here to view the post). Many times, it is worthwhile to watch interviews of successful investors to get a practical understanding of how to pick stocks. Now here are some interesting points with a few lines of my own from my experience. I hope each of you can digest these points and see if you can put into practice. I call these my Fundamentals of Investing in the Stock Market. Practising these fundamentals is not impossible and I can vouch for that. 1) Always understand the business you are getting into. If you do not understand the business, you can never value it. For this, ensure that you read a lot about the management, products, their customers, company presentations, their confidence of the future. All this needs to be well understood before you look at their balance sheets. 2) If the business does well, the stock value will be realized in due time. If a business is good, the daily colour might not be green but the quarterly colour will definitely be evergreen :-) Just hold on to your business with conviction if it is going good. One day or the other people will run to buy it while you sleep in peace. 3) Look at the long term prospects as well. Today a sector which is the future might be trading low. If after point number 1, you know that the business is growing well, you can invest with a long term vision. Then point number 2 follows. 4) Buy low and sell high - Now this is something which almost no one follows. 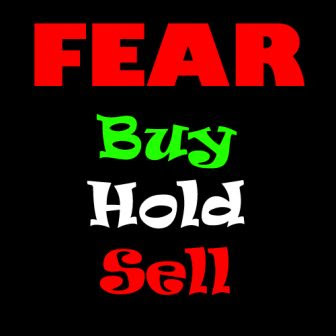 Normally, you will buy when the stock is moving up and sell when the stock is moving down. Once you learn to value the company, you will buy low and sell high. 5) It's far better to buy a wonderful company at a fair price than a fair company at a wonderful price. Basically, this point is for the greedy who want to make quick bucks. It doesnt take time to lose quick bucks in the market friends. Choose solid value companies at a good price and then sleep over it. Forget the daily movements. 6) When buying a stock focus on WHAT will happen and not WHEN it will happen - This doesn't mean that you do not have a vision. You have to have the common sense of when the business will most likely do better, but the WHAT is very very important. 7) Do not buy or sell a stock based on newspaper headline. Use your HEAD instead. It will pay much more. 8) Management is everything - I have posted in all the boards that management is key. If management is not honest and efficient, you should not invest in that counter whatever may be the prospects. So point number 1 is very important. 9) There are 1000s of companies. Don't forget that there are always opportunities at every point of time. What I am trying to say is that it is worth to spend time studying the counters and then investing. Don't think that you will miss a chance while studying. 10) One of my favourite points - Don't look at the markets but at the individual companies. Wish you all the very best my friends..